Hey there! Just wanted to share what I've been working on with my project The Lone Knight. 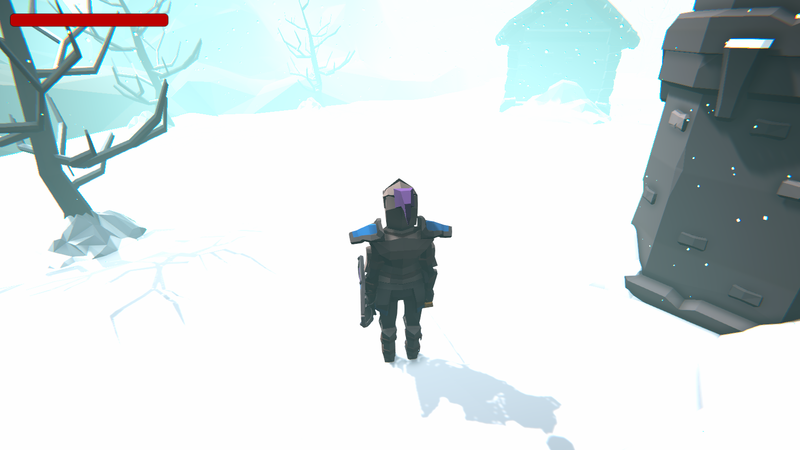 I'm currently working on the third scene/level which is in a beautiful snowy environment. The plan as of now is to have this be the largest of the levels since game objects are more sparse and increasing its size shouldn't hurt performance. You can also download the game now and checkout the two other scenes which include a dark and mysterious forest, and a desert village and its seemingly barren surroundings. Please give the game a shot and leave a comment/or review letting me know what you think of it so far! Dark Souls Combat System and More Weapons Coming Soon! New Animations Coming with the Snow Update!